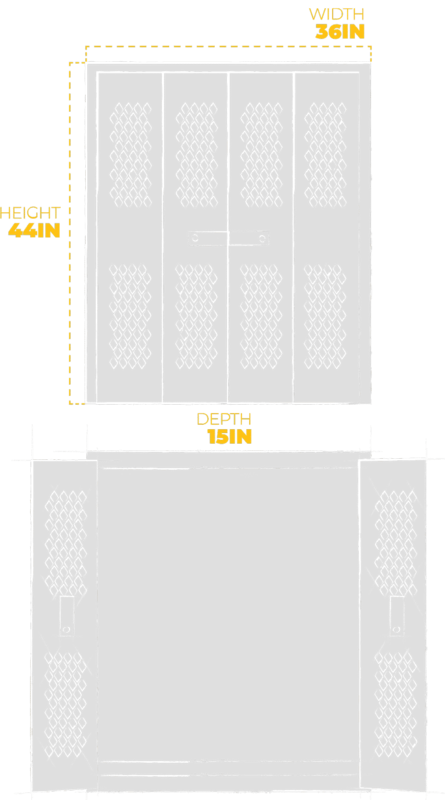 The SecureIt Model 44 Weapon Cabinet was built 44 inches tall, allowing the flexibility to stack two as needed. 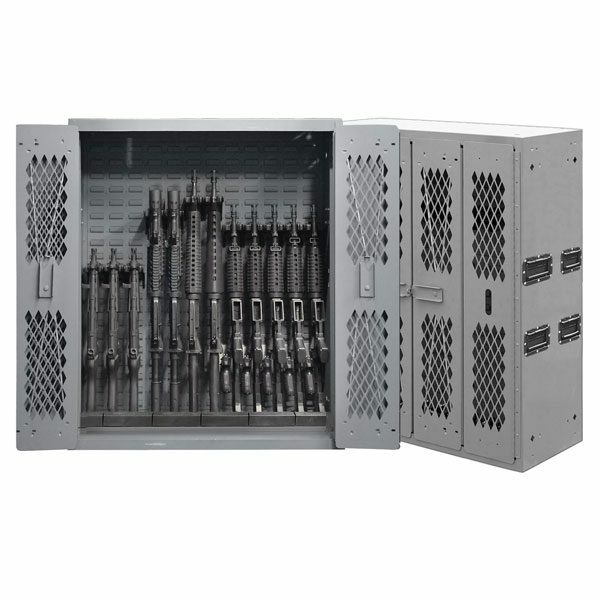 This model, SEC-100H-12R, contains handles for portability. 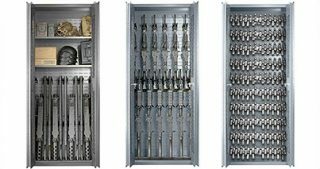 If space is at a premium, or your gun storage system needs to be flexible, the Model 44 is the answer. 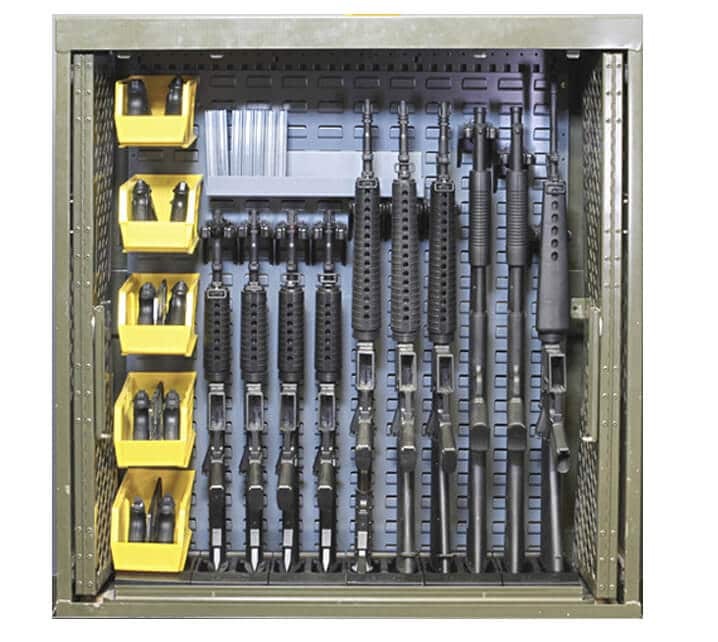 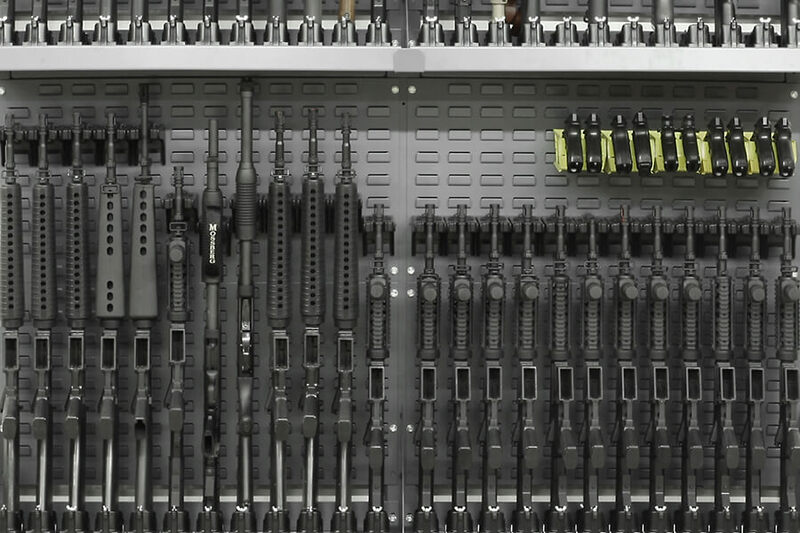 This gun cabinet properly stores 12 rifles up to 41 inches in length. 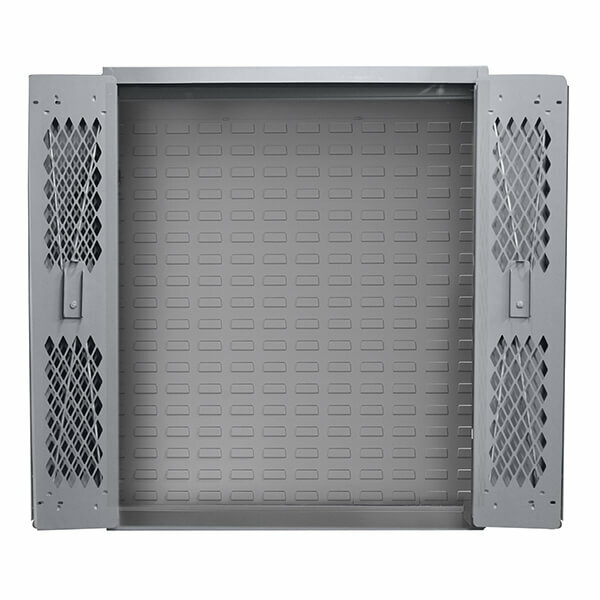 Height: 44" | Width: 36" | Depth: 15.25"